These angling awards trophies are perfect as fly fishing awards or prizes. Crafted in durable resin with a stylish antique bronze colour finish, they feature a scene with gilet, fishing rod, reel and basket. 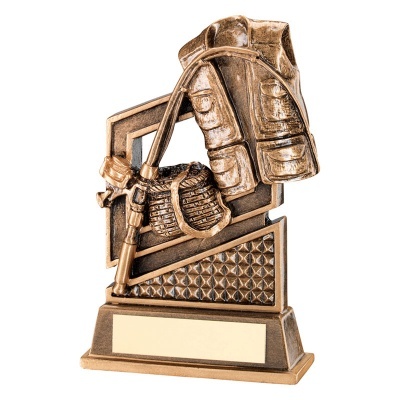 The awards include a bevelled base with engraving plaque and stand 5.75in tall They are offered here with low cost engraving of the base plate.